In the dog days of summer, lemon balm is at its peak. It’s a great smelling and tasting lemony herb that grows almost anywhere. There are so many uses for it that it’s hard to know where to start. So let us help you with that part! Lemon balm is known to have a sedative effect on the body. I drink lemon balm tea to help me sleep. Lemon balm is being tested on people with Grave’s disease and hyperthyroidism. It’s known to have a positive effect on autoimmune diseases, Grave’s disease being one of them. Lemon balm has been used to relieve gastrointestinal distress such as stomach problems, and those associated with the liver and bile. It works on infants with colic as well and is very safe. Lemon balm is an important plant for bees. In fact, the Latin name, Melissa, means honey bee. Lemon balm provides flavor for sauces, jams, jellies and even plain old water. You can use it in place of basil for pesto, or chop it up and add it to a marinade for chicken. Lemon balm is a known fever reducer. It can also be used directly on wounds for reducing inflammation. Lemon balm is a busy perennial plant that comes back year after year. It will die back in the winter, but will come back well in the spring. It grows in large clumps that will spread over a few years. It has few diseases and even fewer pests. The compounds in lemon balm are probably the reason for it having few pests. These include up to 24% citronellal, 16% geranial, and 12% linalyl. All of these are used in mosquito repellents. It will not only repel insects on you, but on plants around you as well. As mentioned before, lemon balm can be a calming tea. It can also be combined with other herbs and is caffeine free. Because of its high antioxidant activity, lemon balm is being studied for use in sausage making to possibly lower the need for as much salt and other chemicals. Lemon balm can serve as an antioxidant supplement for people as well. Lemon balm is a known mood elevator. Lemon balm has been shown to help improve mental function. In studies where math is involved, a marked improvement in calculations was seen with no decrease in accuracy. Research is being done on lemon balm to see it if can help Alzheimer’s patients. So far, it has been found to relieve some symptoms in some people with mild to moderate Alzheimer’s. Lemon balm has been shown to help relieve the symptoms of cold sores and genital herpes. Subjects in a study who applied a cream made with lemon balm extract found that symptoms were relieved, healing time was reduced, and the infection did not spread. Testing is being done to see if lemon balm could replace some medications for children with ADHD. Tests show that kids responded well to a glycerite, a solution of glycerin and lemon balm. Some of the children were able to have the drug Ritalin completely replaced by the lemon balm. Drinking an infusion of lemon balm can help rid the body of toxins. Make a tea with it and drink this several times a day. While it was mentioned before that lemon balm will help externally with viral infections such as herpes, it can also help internally. It can help the body rid itself of staph and strep, both difficult viruses to deal with. And because of its antioxidant properties, it can help the body to heal faster, too. Lemon balm is low maintenance – great for both garden plots and containers (indoors and out). It’s easy to grow and has so many uses. If you’re eager to try some of these applications, find organic dried lemon balm here. If you have another favorite way to use lemon balm, share it with us below! I’ve grown lemon balm for 20 years, only realising it’s full potential over the last several. I made a powerful alcohol based extract of lemon balm last year which was excellent in very small amounts for colds and sleeplessness. I will say that staph and strep are not viruses, but are bacteria which cause bad infections. Staph is named after the shape of the bacteria(round), and the name strep indicates that the bacteria are found in chains when viewed under a microscope. I’ve discovered that lemon balm’s potency is best from fresh leaf or extract, and dried leaf is weak. Great info. Just FYI- #19-Staph & Strep are both bacteria, not viruses. Can it kill both, or just viruses? I’m sorry I got that wrong. I was caught on it earlier! And yes, it doesn’t matter if it’s bacteria, virus or even fungus. It will kill all of them, without harming you in the process. I use it on the clothes i wear in the garden. They seem to get mildew on them if them sit more than a day, so I use a lemon balm spray on the collar. It helps with this and keeps the bugs away too. Is lemon balm considered a citrus? I looked it up on Wikki but it didn’t say that I could see. I am allergic to citrus. I would love an alternative besides lemon grass. Is there an alternative for lime also? I’ve known a few people to be allergic to citrus, and the good news is that there are alternatives. Lemon balm is one of them. It is not related, so you shouldn’t have problems. You may want to find out exactly what compounds of citrus you’re allergic to. Some of the same things exist in many things, such as linalool, cineol, gerinol and other compounds. For lemon, you can also try lemongrass, but if you use the essential oil, be sure to dilute it. It can cause a skin reaction if used straight. I use the leaves in cooking a lot. Then there’s litsea cubeba. It’s a tropical tree that is used for flavorings. 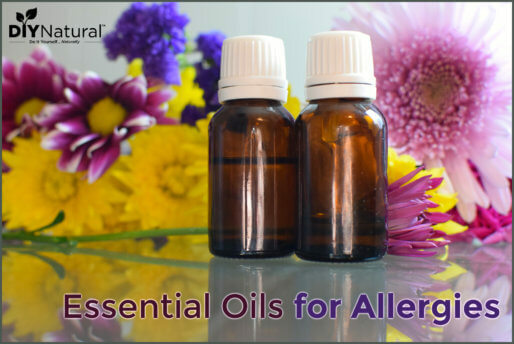 It’s been shown to have very few allergens. As far as lime, try lime mint or lime basil. Both will impart the flavor of lime without using citrus and without the acidity. THANKS SO MUCH FOR THIS INFO!! 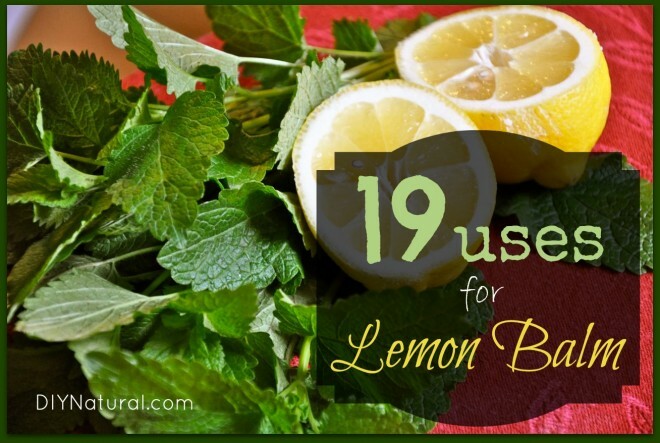 I have lemon balm in abundance in my yard, so it was great to read of so many uses! My yard is pesticide free, so is there any special way that I need to dry mine? No, there is nothing special you need to do. If your house is humid, you may want to skip hanging it to dry and use a dehydrator or oven. If you use the oven, spread it out on a baking sheet covered with parchment paper. after you cook a meal, turn the oven off and slide the pan in. That way there’s no chance to burn the leaves. You can dry the flowers too! I enjoy your email tremendously. I am not being critical, just trying to be helpful. Staph and streph are bacteria and not viruses as stated in the Lemon Balm article. The rest of this article is wonderful and very informative. Keep the great information coming. Thanks for catching me on this one Debbie. It’s a common mistake and I apologize. The good thing is that lemon balm will kill bacteria and viruses, so it will work on either or both. 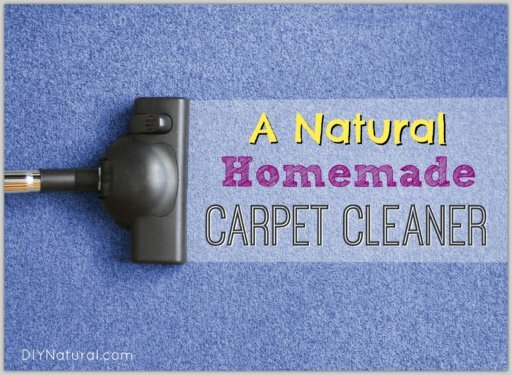 It’s also great for things like mildew. We seem to be having a big problem with it here in the south with all the rain this year. All great uses for the Lemon Balm. Would ou have any recipies that use the lemon? I have about a million! Ok, maybe not that many. One of my favorites is to simmer some lemon balm leaves in milk or cream that you use to maker ice cream. Drain the leaves off and proceed as you normally would to make it. This imparts a delicate lemony flavor. And of course, I use it in my fruit salad. Chop some fruit. Any kind, it doesn’t matter. For each cup of fruit, chop up about 6-7 lemon balm leaves. Stir into the fruit with a but of raw sugar or stevia. Add about a teaspoon of alcohol and stir. I have a bit of moonshine I got from a friend that I hoard. I only use a small amount. It will help the flavors to blend together. Chill for at least 30 minutes and eat cold. This can’t be beat! How much do you need to drink to see benefits? And how to you infuse your lemon balm water? Actually, as with many herbal products, you don’t need to consume a lot in order to start to see benefits. One cup of tea is all I need to help me sleep, and stay asleep all night. And to make lemon balm water, I take a gallon jar and drop a handful of leaves in it. Be sure to bruise the leaves to release the oils. Then fill it about halfway with ice and stir a bit. This will help bring out even more oils. Fill the jar with water and stir. You’re good to go. If you don’t like the leaves floating around, you can tie them up in cheesecloth or a muslin bag.